The plan was for Kang Gao to do his exit interview with Two Sigma Investments LLC, a $21 billion quantitative hedge fund and jump to Citadel LLC, a rival firm in Chicago. Gao never got that chance - he ended up in custody. 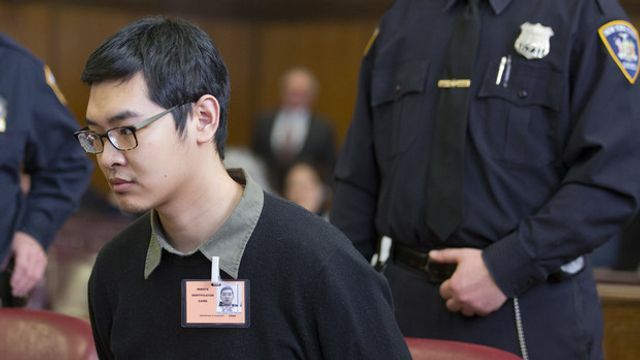 Unbeknown to him, that final meeting had been recorded for investigators at the Manhattan District Attorney’s Office, and instead, the 29-year-old native of China found himself sitting in a New York City jail. He’s accused of stealing Two Sigma secrets and faces a potential four-year prison term. ​Prosecutors said Gao used a remote access device to view Two Sigma’s confidential trading models and e-mailed documents to his personal account that he wasn't permitted to view or disseminate, including quantitative trading strategies, trading models, a marketing presentation and a scientific white paper.